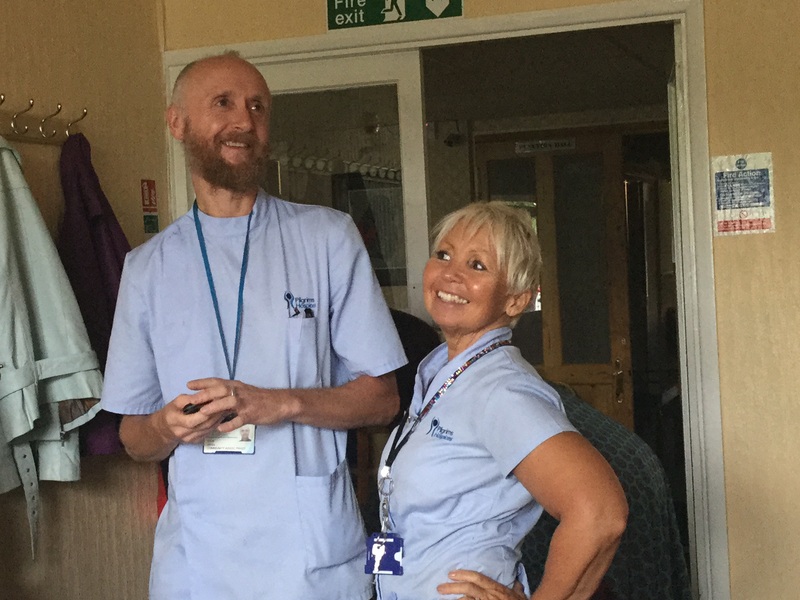 Hospice staff in action at Dover outreach,Chris and Kath…..at the smART project we make it our business to not only provide high quality accessible art experiences for people but to be kind as well… A titchy bit of kindness,love and compassion stretches for miles…. We are a charity who have chosen Pilgrims outreach as our charity we provide fun and distraction from what can be a tough time for patients and families…. This weekend we are entering four teams into an assault course challenge to raise funds for our work… We provide our time free but would like to be able to raise a bit of money to create more happy memories…. We will keep you posted on our progress…..